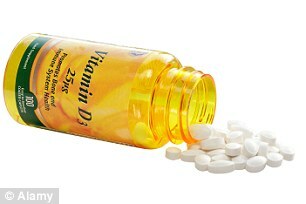 Taking Vitamin D supplements may lower blood pressure and boost exercise performance, research has shown. Volunteers who were given the vitamin every day for two weeks said they saw fitness improvements that allowed them to cycle longer with less effort. Their blood pressure and levels of the stress hormone cortisol were also lower compared with another group taking a dummy pill. Around 10 million people in England are deficient in vitamin D, which is chiefly obtained from the action of sunlight on the skin. The scientists plan to follow up the small study, which had just 13 participants, with a larger clinical trial looking at both healthy individuals and groups such as athletes and cyclists. 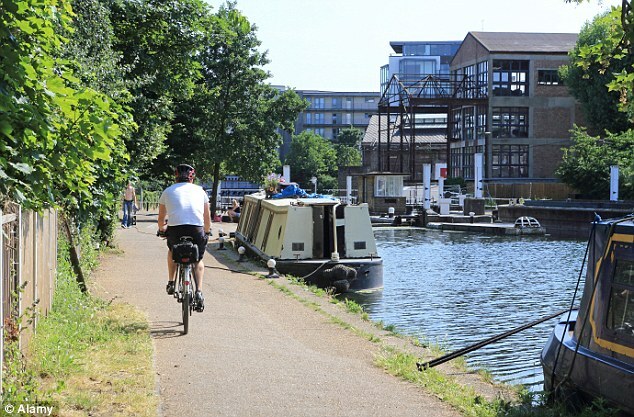 In the fitness test, volunteers taking vitamin D were able to cycle 6.5 kilometres in 20 minutes at the end of the two weeks compared with five kilometres at the start. Despite cycling 30 per cent further than participants given the inactive placebo, they showed lower signs of exertion. Levels of the stress hormone cortisol were also lower in the urine of those taking the vitamin, which was given at a daily dose of 50 micrograms. Previous studies have indicated that vitamin D blocks the action of an enzyme needed to make cortisol. Large amounts of the hormone are thought to raise blood pressure by narrowing blood vessels and to stimulate the kidneys to retain water. The findings were presented at the annual meeting of the Society for Endocrinology in Edinburgh. Study lead author Dr Emad Al-Dujaili, also from Queen Margaret University, said: ‘Vitamin D deficiency is a silent syndrome linked to insulin resistance, diabetes, rheumatoid arthritis, and a higher risk for certain cancers.